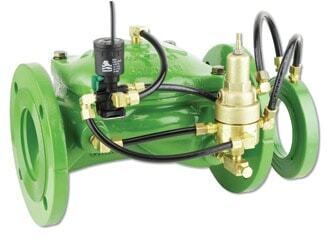 The BERMAD Flow Control Valve with Solenoid Control is a hydraulically operated, diaphragm actuated control valve that controls system demand to a preset maximum flow rate. It either opens or shuts in response to an electric signal. maintaining filters back flush pressure.